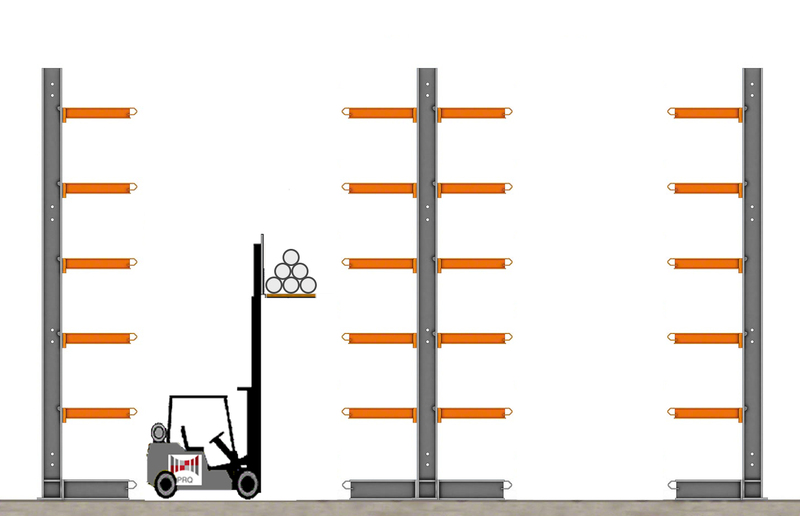 Cantilever racking is mainly used to store long or oversized products such as PVC, piping, timber, board or carpet. It is very strong, safe and cost effective and maximises floor space in a warehouse. 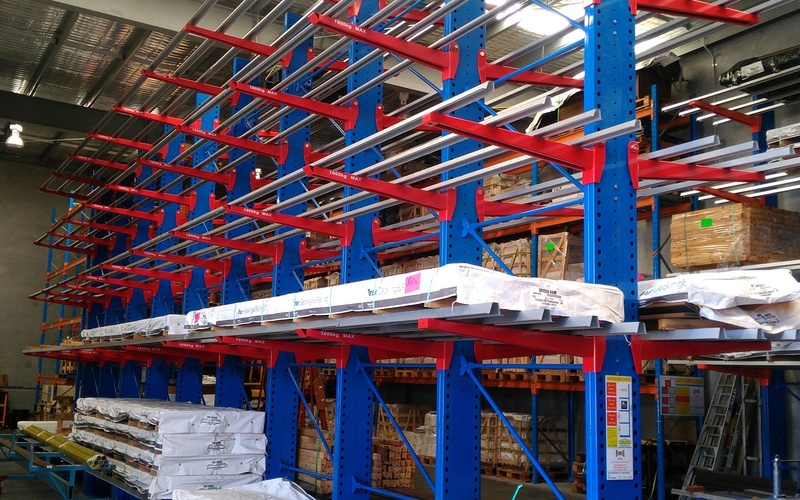 It is a popular style of racking and utilised in many Brisbane and Queensland warehouses. Available in single row, double row or placed against walls. It can be installed in numerous formats: single row, double sided, or placed against a wall. These type of racks are made up of four components: upright columns, a base, arms and brace sets. All of these components can vary in size. Like pallet racking, you will require shim levelling plates to ensure the racking is level, and anchor bolts (dyna bolts or true bolts) to fix the cantilever racking to the ground. When considering the best type of cantilever racking system for your Brisbane or Queensland warehouse needs it is important to concentrate on what you plan to store on them. Specifically, the weight, length, depth and width of the products. Closer upright columns will allow you to load greater weight. Conversely, if your product is not that heavy but long we can design you a system that has wider separation of columns. If your product has the potential to roll you may consider spigots (arm pins) to ensure the product does not fall forward once in position. This form of racking is highly customisable and allows easy access to products regardless of their shape and size. Your products must be placed over enough cantilever arms to prevent load deflection. Damage may occur to your products and to the cantilever arms if deflection occurs. If deflection is detected then decrease the weight of your load immediately. Alternatively, spread the load over a greater number of cantilever arms. The Upright Column and the arms of your cantilever system will have different safe weight load ratings and need to be considered separately. For example a column may have a 4000 Kg rating and each arm 1000 Kg. Loading 5 arms each with 900 Kgs may not impact the rating of the arms but will seriously overload the column. Likewise, the same column loaded with only 2 arms but with loads of 1200 Kgs on each will not compromise the column but may cause serious damage to the arms. We only use the highest quality steel to ensure the best pallet racking systems on the market.